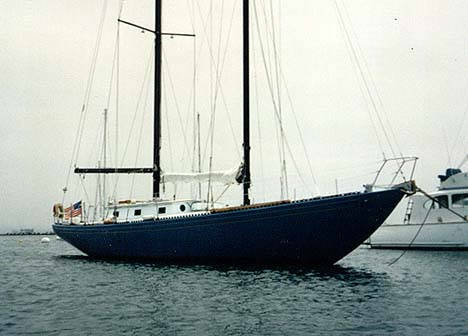 The Bill Tripp designed Columbia 50 debuted in 1965 and was the largest production fiberglass sailboat at that time. It was in production until at least 1982. 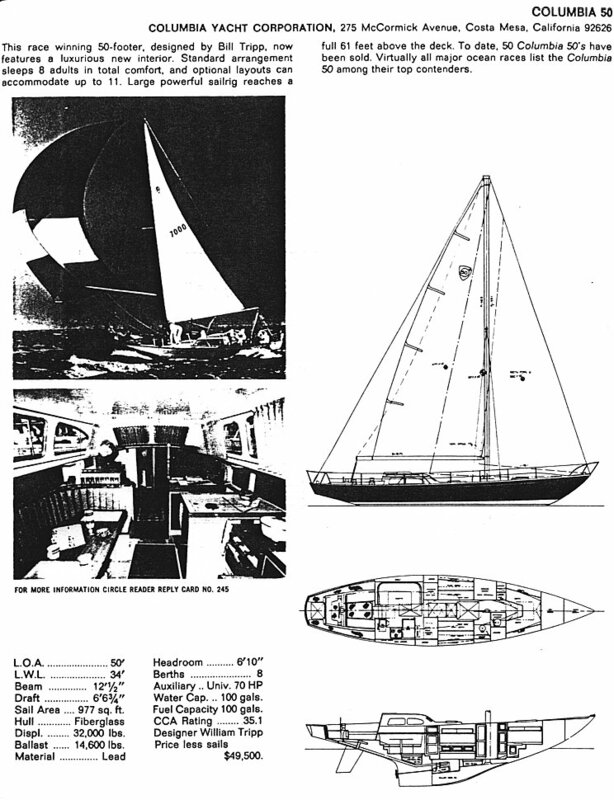 The original design was sloop rigged, but it was also available as a schooner. There has been some discussion on the mailing list about Sailcrafter 50s. 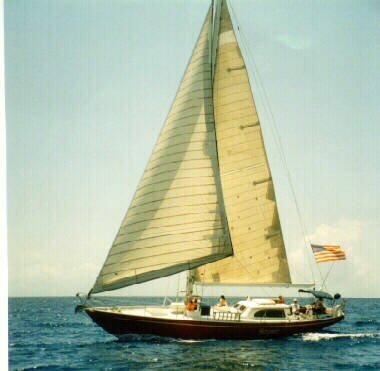 According to a Columbia history found in some owners manuals, Columbia offerred yacht "kits" under the name Sailcrafter during the years 1971-1974. The C-50 apparently was one of models offerred. The Sailcrafter has an additional skeg between the keel and the rudder. I wonder if this was done to improve the design or if it was to strengthen the hull for shipping - or both? The following description is a composite from advertisements. The 50 has a master stateroom forward and two heads forward, a second stateroom aft, and three settee berths, bringing accommodations up to seven. There is a large saloon, a dinette, nav station,and full galley as would be expected on a craft of this size. Engine placement is below the saloon sole. The following specifications are from the 1968 Columbia drawing #C50-00-000 submitted by Thos Kite. Steve and Linda Dashew owned Intermezzo (now Fuera) and circumnavigated with her. They now host the website SetSail.com. Here is some info on the boat. It sounds like it was a Sailcrafter kit.